Australians have struggled to make an impact at the business end of majors in recent years, but here is a look at players hoping to rekindle old form or break new ground in 2019. If you’d suggested at the end of 2015 that the next three years would be devoid of major titles for Day, then you would have likely received a great deal of admonishment. Day appeared to have the world at his feet when he claimed his first major at the PGA Championship in 2015. The Australian then spent an impressive 47 weeks at the top of the world rankings, with many believing that Day could usher in an era of dominance akin to that of Tiger Woods. At just 31 years old, time is very much on Day’s side. Day has detailed how he is taking tips from Kobe Bryant in order to recapture that level of elite performance. He has underperformed in major championships since his maiden title, but as the 11th-ranked player in the world, he can avoid much of the scrutiny that comes to the world’s very best. That freedom could give Australian golf its Day in 2019. Source: Adam Scott via Facebook. 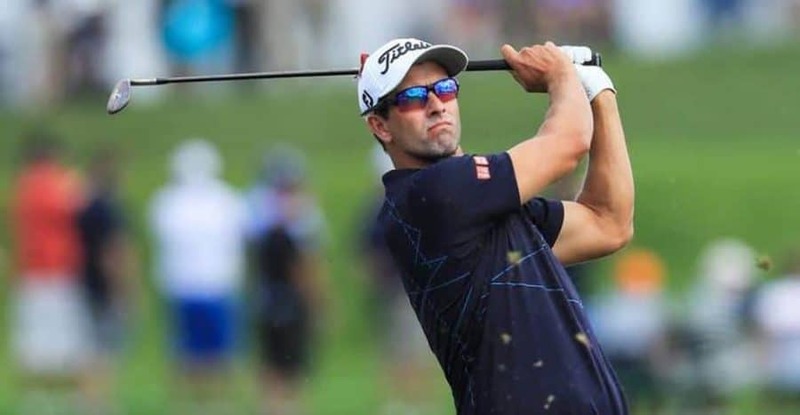 Adam Scott is the next natural candidate, given that he is the only other major-winning Australian this decade. Ranked 42nd in the world, it may appear as if Scott’s 2013 Masters title will remain his solitary major. His sudden-death win over Angel Cabrera made him the first Australian to win the Masters, as well as demonstrating to the world his ability to remain cool under the most intense pressure. As with Day, that major triumph helped Scott to secure the number one ranking. Scott has made changes to his schedule for 2019 in the aim of putting himself in the best possible position to win another major. The Australian is 60/1 in golf betting with bet365 to add a second Masters to his collection, with the event in Augusta the first major of the year. That price puts Scott behind a whole host of players who have no experience of the business end of a major; Scott will hope that his experience can pay dividends in 2019. Leishman has come close to major glory in the past and has since demonstrated that his fine emerging form was not a flash in the pan. Ranked 18th in the world, Leishman frequently enters a major as a dangerous outsider and a worthwhile each-way punt. He was the first Australian to win Rookie of the Year, doing so in 2009, although that accolade is not always a guarantee for a successful career. However, Leishman has largely lived up to the hype. The 2015 Open Championship was almost a legendary tournament for Australia; Leishman only lost to Zach Johnson in a playoff, while Day and Scott both made the top 10. 2019 could be the year where Leishman converts his potential into a major victory. Having also claimed 4th spot at the Masters in 2013, Leishman has shown that he can perform impressively at two of the four majors. If Day and Scott can’t add to their title collections, perhaps Leishman or even the emerging Cameron Smith can make the step up in 2019.